TNDV supports the ‘Road to the Horse 2017’ championship. TM Broadcast. Known as the world’s premiere colt starting competition, the Road to the Horse (RTTH) 2017—which was held this spring at Horse Park’s Alltech Arena in Lexington, KY—featured a “Celebration of the Cowgirl,” as talented female clinicians competed to tame, saddle and ride a wild colt in record time. The annual three-day event drew thousands of horse-loving spectators, as well as a global online audience that watched the live webcast on Road to the Horse TV. With all the action and excitement of a rodeo or high stakes horse race, Road to the Horse competitions begin with a remuda (or herd) of untamed young colts entering the arena and running in circles. When these three-year-old American Quarter Horses arrive—from the 6666 Ranch (said Four-Sixes Ranch) in Texas—they’ve never been saddled up or touched by human hands. In a very short period of time, the clinicians must compete to tame one of the wild horses, get it saddled and ride it through an obstacle course to win points. This year’s competition was particularly newsworthy because it featured all female clinicians or cowgirls who competed throughout the event. 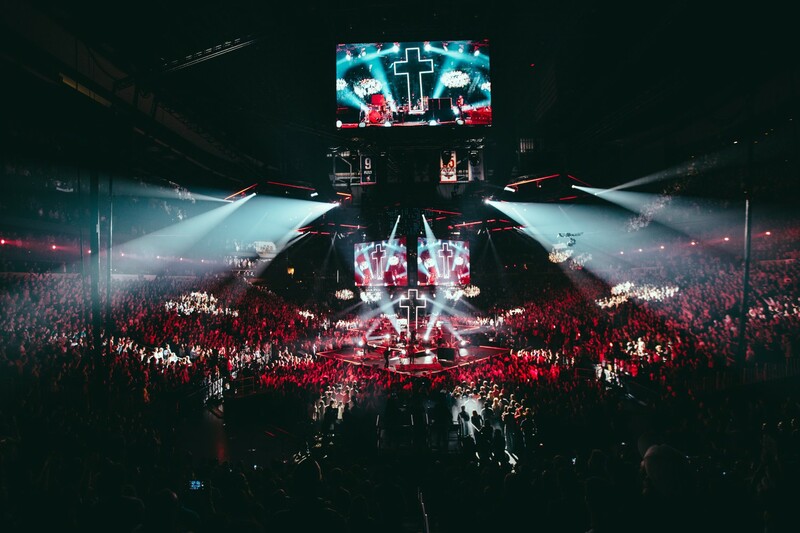 The technical production this year leveraged a full complement of HD production gear, using Hitachi Z-HD5000 cameras to capture the excitement; and, according to TNDV President and Owner Nic Dugger, the most extensive audio infrastructure for the event to date. The TNDV team mixed multiple audio channels using a Soundcraft Vi3000 console, and all tracks were recorded to ProTools HDX and a Sound Devices Pix270 recorder. “Audio is extremely important to this event given the subtle sound dynamics associated with the action, and the Soundcraft console provides us with the capacity and feature set we need to manage a multitude of audio tracks coming from seemingly every direction,” says Dugger. The event marked the tenth anniversary of the technical production partnership between mobile video specialist TNDV: Television and Road to the Horse, which was co-founded by Owner/Producer Tootie Bland and her late husband Steven 14 years ago. For the past 10 annual events, TNDV crews have captured the excitement of the Road to the Horse championships using multi-camera video production gear and large TNDV mobile video units. This included the event’s first HD production in 2010—the first equine event to make that transition.